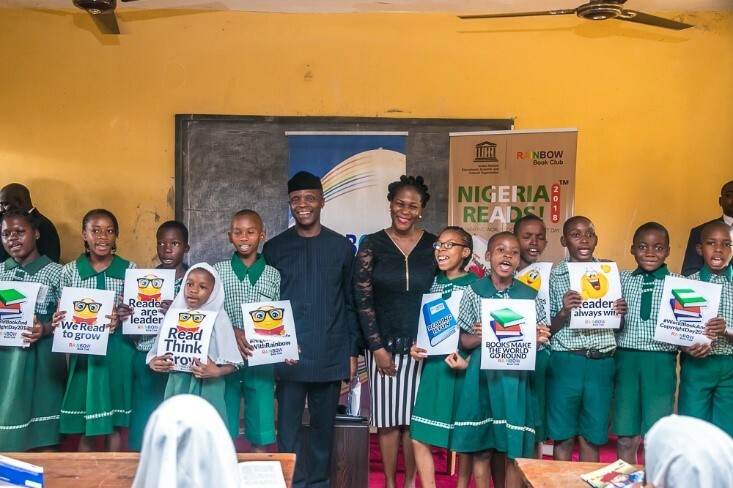 Since it kicked off the ‘Get Nigeria Reading again!’ campaign with Chimamanda Adichie in 2005, and continued in 2006 with Wole Soyinka, the Rainbow Book Club has continued to pioneer various exciting initiatives to encourage reading in Nigeria with particular attention to children and youth. Rainbow has done it again. This time they enlisted participation from no less than the presidency. 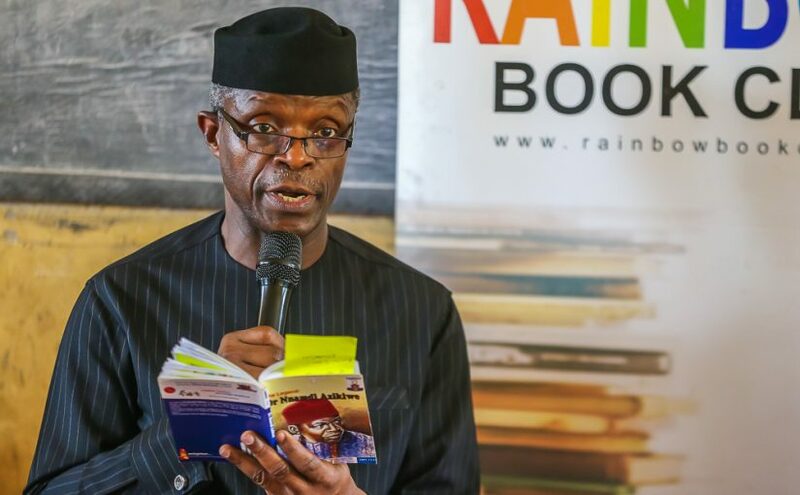 The Vice President of Nigeria, Professor Yemi Osinbajo, read to children from a biography of Nigeria’s first President, Nnamdi Azikiwe. The occasion was UN World Book & Copyright Day, April 23rd. Rainbow Book Club founder, Koko Kalango, moderated the event. April 23rd is an important day in Nigeria’s history. On this day, 4 years ago, Port Harcourt became UNESCO World Book Capital. It was the Rainbow Book Club that took the bold step to make this application on behalf of Nigeria. The book club also managed the year-long project featuring 24 programmes around books and reading. 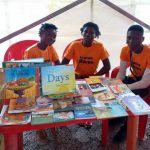 Over the 12 years of existence the book clubs has established and run over 200 book clubs in primary and secondary schools, set up 13 libraries, organised trainings for over 500 book club facilitators, organised over 42 reading and writing exercises to groom upcoming writers and published some of them. We have also promoted established writers. 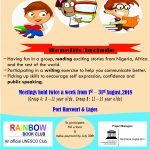 The Rainbow Book Club has also organized the Port Harcourt Book Festival (formerly the Garden City Literary Festival) since 2008. The venue for today’s reading was a public primary school, the L.E.A. Primary School, Life Camp, Abuja. Also present at the reading were the Honourable Minister for Education, Mallam Adamu Adamu, the Honourable Minister for the FCT Alhaji Muhammed Musa Bello And a representative from UNESCO, Mr Ifeayin Ajaegbo. 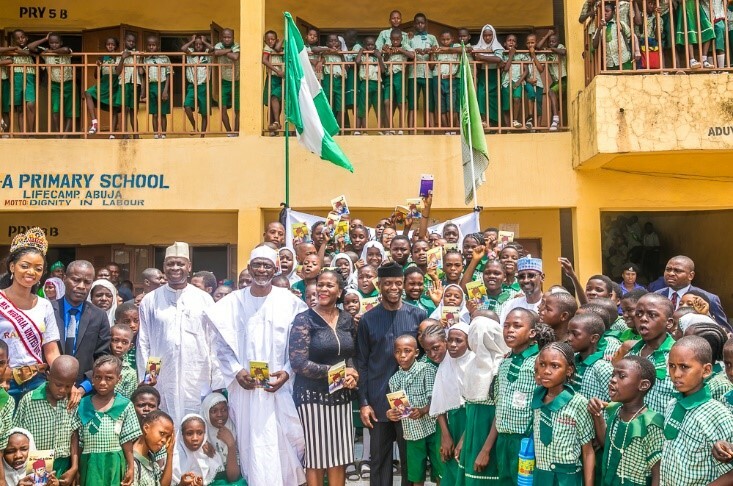 VP Osinbajo read to a class of upper primary students and interacted with them for about 90 minutes. From the discussion on the life of Nnamdi Azikiwe the children pointed out important lessons they had learnt on humility, hard work and perseverance. They also recognised Zik as a symbol of unity in Nigeria, as he was Igbo but spoke Hausa and Yoruba. The fact that Zik rose above all the odds to become Nigeria’s first President was indeed very significant to the child. The students also had questions for the Vice President such as ‘how does he spend his day? Does he have time for his family? When he was a child did his mother beat him? Was he bullied as a child? How will he fight corruption in Nigeria? 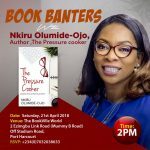 Readers in past events organised by RBC has included Jesse Jackson, Wole Soyinka, Oby Ezekwesili, Emeka Anyaoku, Federal Minister, Governor, captains of industries and celebrities.